BUTLINCAT's BLOG: Julian Assange: "I AM WIKILEAKS" - "About Julian"
Happy New Year Julian Assange, and all at Wikileaks - long may you reign!! Julian Assange is an Australian journalist who is founder and editor of WikiLeaks, a transparency organization which publishes censored and restricted materials, specializing in large data sets. 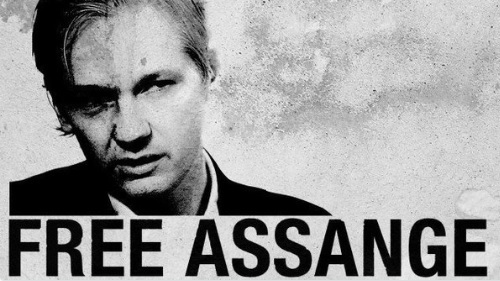 Overseeing an organization that has released millions of documents detailing ongoing abuses by some of the most powerful governments and corporations in the world, Assange has had an indisputably large impact on global news, debates and social movements over the last several years. 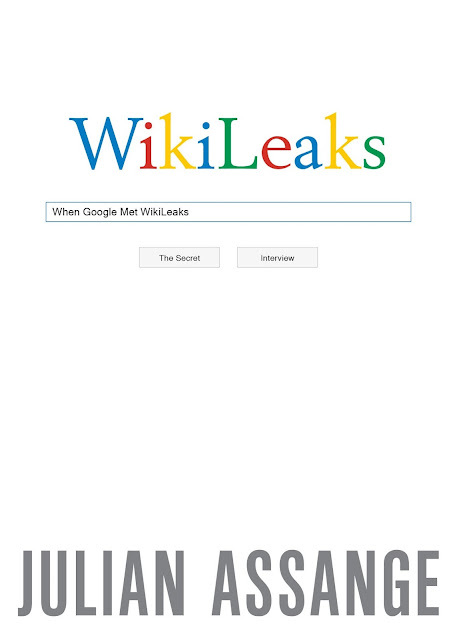 Julian Assange founded WikiLeaks in 2006 with the aim to “bring important news and information to the public… One of our most important activities is to publish original source material alongside our news stories so readers and historians alike can see evidence of the truth.” It first began publishing source documents in December of that year. One of WikiLeaks’ first major releases, published in 2007, was was the a copy of the Guantanamo Bay prison camp’s 2003 Standard Operating Procedures for the US Army. In its first few years, WikiLeaks released allegations of illegality by the Swiss Bank Julius Baer, Sarah Palin’s Yahoo emails, the secret bibles of Scientology and the membership list of the far-right British National Party. WikiLeaks and its staff have won numberous journalistic and human rights awards including the 2009 Amnesty International UK media award and the 2011 Martha Gellhorn Prize for Journalism. In 2010, WikiLeaks broke into the global spotlight by publishing tens of thousands of classified documents from the United States, from the US Army’s helicopter gunners in ‘Collateral Murder’ to the State Department diplomatic cables. Because these leaks exposed one of the world’s biggest superpowers, and how it interacts with countries all over the globe, they dominated headlines the world over. These disclosures changed international understanding of politics and journalism as a practice, as debates raged over the ethics of secrecy, radical transparency and reporting on stolen documents. While the Kenyan disclosures earned Assange awards and acclaim, publishing US secrets incurred the wrath and prosecutorial aggression of high-ranking public officials. It was later revealed that a grand jury was convened in Alexandria, Virginia, and the 2011 publication of Strafor emails indicated that private intelligence figures were claiming that the United States had a sealed indictment of Assange. The Grand Jury investigation continues today. When Chelsea (then-Bradley) Manning was revealed as the imprisoned source of the 2010 releases, whistleblowers and leaking ethics became a major issue of public debate. Manning was ultimately convicted of several counts under the Espionage Act and the Computer Fraud and Abuse Act, and was sentenced to 35 years in military prison, the longest ever penalty for a US leaker. At Manning’s trial, prosecutors attempted to portray Assange as a conspirator who encouraged Chelsea to leak to WikiLeaks. On 20 August 2010, two women went to the Swedish police after having separate sexual encounters with Assange in order to request he undergo an STD test. Chief Prosecutor of Stockholm Eva Finné reviewed the case and dropped the arrest warrant stating that no crime had been committed. Roughly one week later another prosecutor, Marianne Ny, reopened the preliminary investigation. Both women have stated they were not raped. Nonetheless, the Swedish prosecution has continued to pursue Assange over six years. After initially stating that it was illegal to question him in the UK, the Swedish prosecution finally took his statement on 14 November 2016. On 19 May 19 Swedish prosecutors announced that they were withdrawing their arrest warrant for Julian Assange. The London Metropolitan Police released a statement confirming it would arrest Assange over skipping bail when he sought asylum at the Ecuadorian Embassy. On 19 June 2012, Julian Assange entered the Ecuadorian Embassy in order to seek asylum. He feared extradition to the United States where an investigation into him and WikiLeaks remains ongoing. 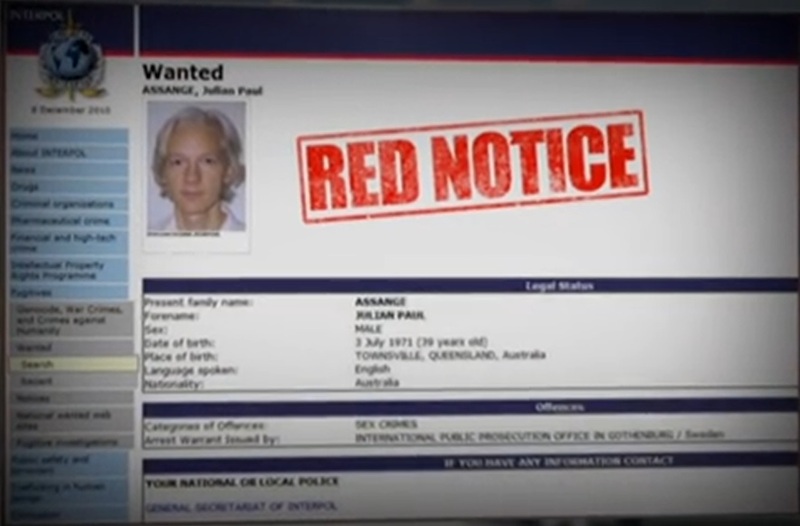 On 19 August 2012, Ecuador granted political asylum to Assange. They cited a “threat to his life, personal safety and freedom” as the basis for granting his request. Ecuador’s full statement on their reasons for granting his asylum can be read here. Assange’s life in the Ecuadorian Embassy is difficult. He is in a small space and has no access to sunlight. This has had serious effects on his physical and mental health. He is unable to get necessary medical treatment including an MRI for shoulder pain and dental care. Medical assessments can be read here. 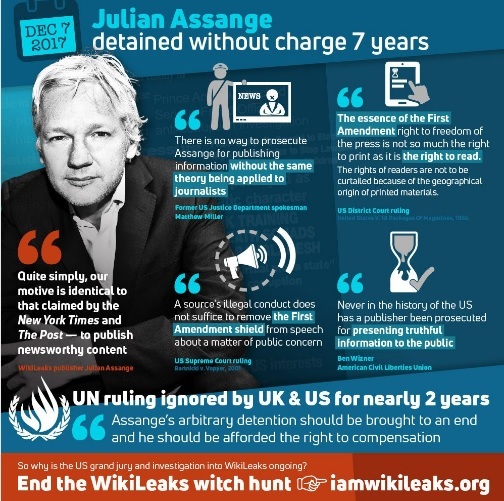 The United Nations Working Group on Arbitrary Detention (UNWGAD) reviewed Julian Assange’s case and, on 5 February 2016, determined that he has been arbitrarily detained since his voluntary arrest in London, 7 December 2010. They have called for his immediate release and for compensation, however the UK and Sweden have refused to acknowledge their requests. Later that month, several media outlets reported that the Trump Department of Justice had prepared charges to prosecute WikiLeaks’ Julian Assange, each with slightly different information about what the charges might entail. The Post also reported that prosecutors have been “drafting a memo possibly including conspiracy, theft of government property or violating the Espionage Act.” CNN reported that one of the key elements for investigators was related to WikiLeaks work assisting NSA whistleblower Edward Snowden. Throughout his presidential campaign, Donald Trump praised WikiLeaks for publishing documents from the DNC, even saying, “I love WikiLeaks”, encouraging them to leak more documents, and publicizing DNC disclosures. In an interview with AP after the charge announcement, however, Trump said that “it’s OK with” him if Assange is arrested. These two essays, “State and Terror Conspiracies” and “Conspiracy as Government” were authored by Julian Assange in 2006, shortly after the founding of WikiLeaks. 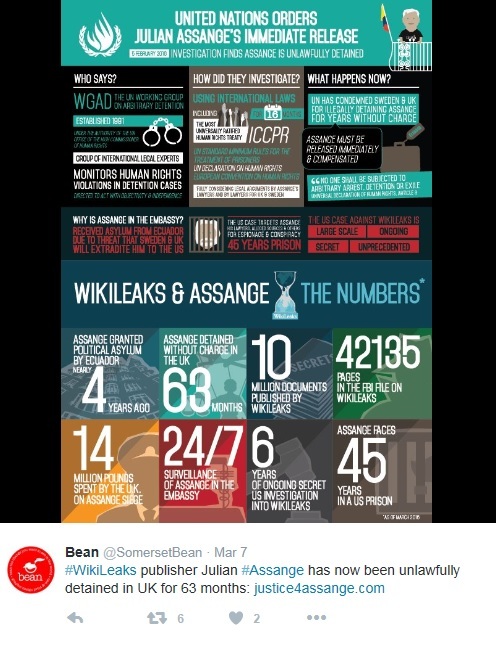 Julian Assange contributed research data to Suelette Dreyfus 1997 book “Underground: Tales of hacking, madness and obsession on the electronic frontier”. This book is primarily a transcription of a conversation between Julian Assange and cyber activists Jacob Appelbaum, Andy Müller-Maguhn, and Jérémie Zimmermann about the current state of the internet and what can be expected in the future. This book is a compendium of essays detailing specific aspects of WikiLeaks’ released of 250,000 US State Department cables, known as “Cablegate.” Introduction by Julian Assange. This book contains transcripts of Hillary Clinton’s speeches given to multinational finance company Goldman Sachs, which were released as part of WikiLeaks DNC Leaks. Introduction by Julian Assange. In 2012, Assange hosted a political interview show, featuring discussions on transparency, surveillance and world events with a variety of major public figures, activists and academics. Guests included linguist Noam Chomsky, Ecuadorian President Rafael Correa, former Guantanamo prisoner Moazzam Begg, and Hezbollah Secretary-General Hassan Nasrallah. The show comprises twelve 26-minute episodes. The show was sold to a number of TV stations around the world.